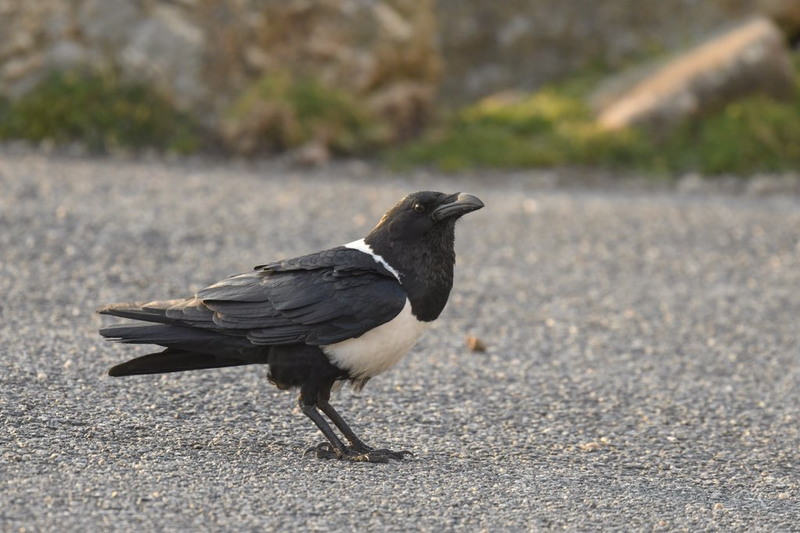 Going to see the Pied Crow at Lands End yesterday inspired me to do some research about the species and write about this eye catching corvid. Widely spread over Sub-Saharan Africa this conspicuous corvid with white collar and breast contrasting with overall black plumage was first seen in Britain at Spurn Point; East Yorkshire in June 2018. After it was seen in Norfolk it journeyed over 300km to Clevedon, Somerset on 26th June. It’s next port of call was the village of St Justinian Pembrokeshire in July 2018 before heading back to the east coast village of Flamborough spending the winter of 2018 settled at this site. 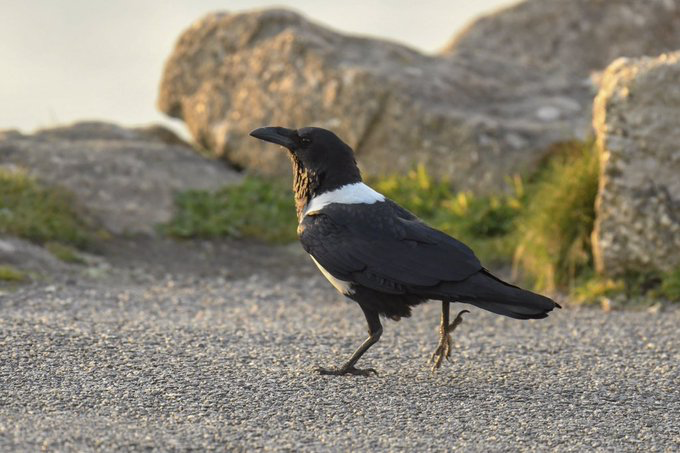 In 2019 after a prolonged stay at Flamborough the bird moved down the coast to Sussex before making another long-distance journey to West Penwith (first of all seen flying along the coast at Cot Valley) before settling at Lands End on 10th April. The east coast arrival and subsequent urge to head west is rather interesting behaviour and could be seen as a natural reaction typical of a long distance or (perhaps more likely) ship assisted vagrant trying to relocate. The status of Pied Crow in the Western Palearctic is also interesting with birds now accepted as genuine vagrants in Morocco, Libya and Western Sahara (attempted breeding even took place in this area in 2010). 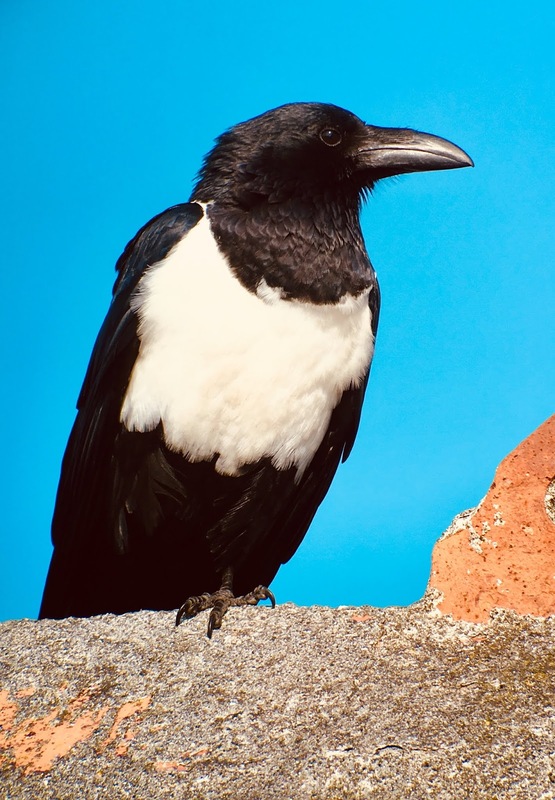 Evidence of Pied Crow using ships to reach the Western Palearctic comes from Iberia and notably Gran Canaria where three birds at Puerto De La Luz were found to have originated from an oil rig that had been moored off of the Mauritanian Coastline. Closer to home several sightings from Holland are thought to have involved ship assisted birds. The corvid family seem prone to using ships as a means to venture much further from their breeding range and even in some cases establish new territories in new geographical areas. I’m reminded of the House Crow (originally occurring in South East Asia) which has established colonies in Egypt and Israel by means of this method and has reached Western Europe via ship with accepted records from Holland (recorded since 1998) and Ireland (Cork 2010). Whether we will know for sure the origins of the British Pied Crow with any certainty is unlikely. 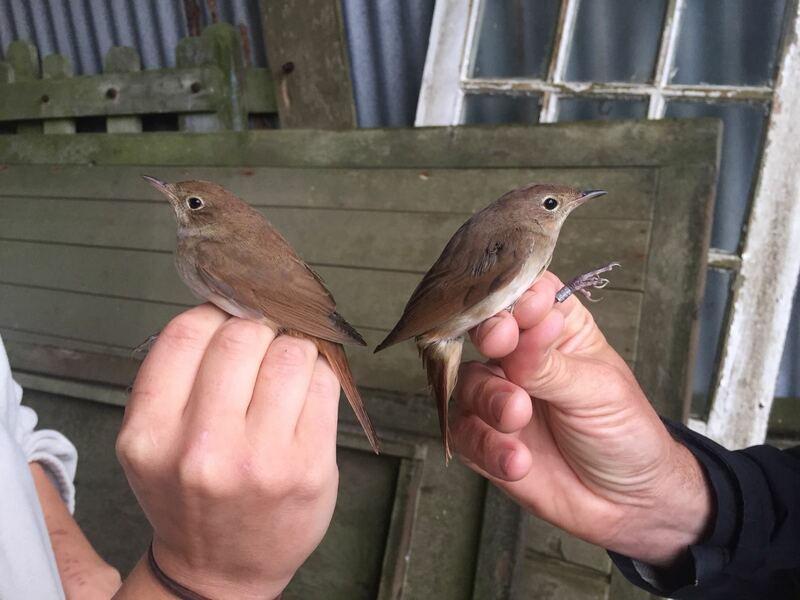 Even if the bird was trapped and isotope analysis of a dropped feather carried out this would now prove nothing as it would have now completed a full moult in the UK. It does however seem that it is a very rare and desirable cage bird which is not easily available. I decided to take a look at how easy they are to buy as a pet and it would appear that they aren’t at all. A website in America offers hand fed babies at a staggering $3500 each whilst in the UK they simply don’t seem to be available at present. Somebody from the UK enquiring on a forum as to whether it was a good idea to have one as a pet only had responses from U.S.A telling them to look for a cheaper and easier alternative. In the field I found the Pied Crow to be approachable yet wary and no tamer than any other corvid at the complex. My experience with pet corvids is limited but I do know that they can become amazingly tame and are trained to mimic sounds and words. They will outgrow their natural behaviour very quickly due to their intelligence which cannot be retrained. In conclusion my own theory would suggest that this bird is of ship assisted origin but I would be happy to learn from any more information that may be out there. I’m sure that many of our true mega rarities in the UK are ship assisted without us knowing. For instance, many Nearctic passerines may well have come off of a boat you only need to look at where they turn up. Personally, I think it should be fine to count them regardless as the bird is still wild and has just used its survival instincts which I think is pretty special. Thanks to Kester Wilson and an interesting article on Birdguides by Sam Viles for some of my facts and ideas. Also Crows and Jays by Madge & Bunn.